Deregulated energy markets can help to lower costs and increase customer service of energy companies and power supplies across this country. Well, where they're legally allowed. Unfortunately, many states are still lagging behind when it comes to deregulated electricity and alternative energy sources. One state that does have partially deregulated energy markets, even if many residents are still unaware of it, is New York. In fact, New York recently became the seventh state to implement a community choice aggregation program: Sustainable Westchester Smart Power. According to Greentechmedia.com, community choice aggregation (CCA) allows municipalities to buy power in bulk on behalf of their citizens. The goal is to procure cleaner and more sustainable power from renewable energy companies. Currently, only about 25% of Westchester County's residents have elected to seek out new sources in the deregulated energy markets. Under this new CCA, the majority of towns in the greater Westchester area (population 800,000 total) will be included in this agreement. Right now, the largest of such CCA programs is in Ohio. “As the first community choice aggregation in New York state, Westchester Smart Power holds the potential to transform how consumers purchase, use and choose the energy for their homes and businesses,” Richard Kauffman, chairman of energy and finance for New York state, said in a statement. One of the interesting facets of the New York deal is the emphasis on new renewable resources, whereas most deregulated energy markets tend to focus on cost-savings. Average electricity use, which was 13 times more in 2013 than in 1950, costs households approximately $107 per month. In the residential sector, air conditioners account for the biggest use of electricity (19%). Refrigeration has come a long way since the days of the icebox. Today's typical home refrigerator is 20% bigger than the average one of 1975, even though they tend to cost 60% less now than they did back then. 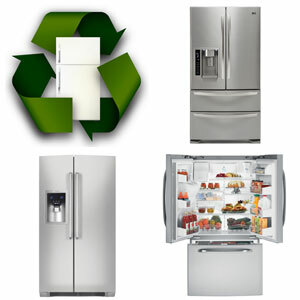 More importantly, though, modern refrigerators use 75% less energy to operate today than they did 40 years ago. That's great news for energy-conscious consumers and power suppliers. But is it enough? Overall, U.S. electricity use is now 13 times greater than it was in 1950, and many residential homeowners and energy companies alike are increasingly looking for ways to either decrease their energy costs or minimize their carbon footprint. After air conditioning and water heating -- which account for roughly 19% and 14-18% of in-home electricity use, respectively -- refrigeration is a major contributor to home electricity bills. Think about it: your refrigerator is running all the time and all year round, working to maintain a constant temperature for food storage and safety. One solution to further decrease your energy uses or expenses is to invest in alternative electricity for your home. Alternative power companies around the country are working to provide new kinds of energy for old kinds of technologies. While the companies that produce refrigerators are constantly developing new ways to make our most valuable kitchen appliance more efficient in and of itself, we as consumers can also attack the energy problem from a different angle in cooperation with alternative power companies. 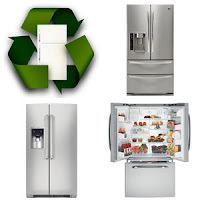 Refrigerators, however, tend to be one of those household items we only think to replace when something breaks or stops working -- not when the latest gadget is introduced. Refrigerator models that are only 10-years-old might be vastly inferior in terms of energy efficiency than new, advanced models. Even so, if your electricity is powered by solar, wind, or hydro energy suppliers, you can rest a little more comfortably knowing that your home is run on renewable sources of energy. More energy-efficient appliances coupled with alternative energy sources can mean savings on your electricity bills, too. Many believe in the spirit of competition and that it is the cornerstone of any healthy, free market economy. That's what the fight for deregulation of electricity markets and energy suppliers across the country is all about. By allowing competition among residents when it comes to choosing power suppliers, deregulated energy markets can help to lower prices and increase customer satisfaction everywhere it has been implemented. One of the world leaders when it comes to economics and monetary policy recently issued a statement supporting this notion. 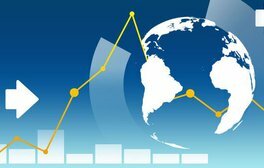 According to MarketWatch.com, the International Monetary Fund (IMF) released their quarterly "World Economic Outlook Report" for April 2016 and one of the biggest suggestions they make is for governments to increase efforts to deregulate various industries. One that they specifically mention is energy suppliers and distribution. The IMF clarified "network" industries as air, rail and road transportation, energy distribution, telecommunications and postal services. In fact, despite energy usage being at an all-time high (it was 13 times greater in 2013 than in 1950 in the U.S.), it's fair to wonder if energy industry deregulation has already helped to decrease the cost of generating electricity. According to the Edison Electric Institute, the cost of generating electrons currently accounts for less than half of the price of electricity, compared to 1995 when it accounted for two-thirds.